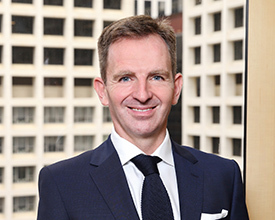 James Gaden is a Partner in the Global Corporate and Investment Funds Groups of Walkers’ Hong Kong office. He has over 15 years of experience advising the investment funds industry. He specialises in advising private equity and hedge fund managers on a broad spectrum of legal issues including fund formation and structuring, acquisitions and disposals, fund restructuring and fund financing. In addition, James has an active corporate practice which includes providing general corporate advice on corporate governance, mergers and acquisitions and joint ventures. He also advises companies, LLCs, partnerships and their investors in relation to a variety of different financing transactions. James advises clients from across the region including in Hong Kong, China, Japan, Korea, Singapore and Australia. James is a respected practitioner in the investment funds industry and is a regular speaker at industry events.